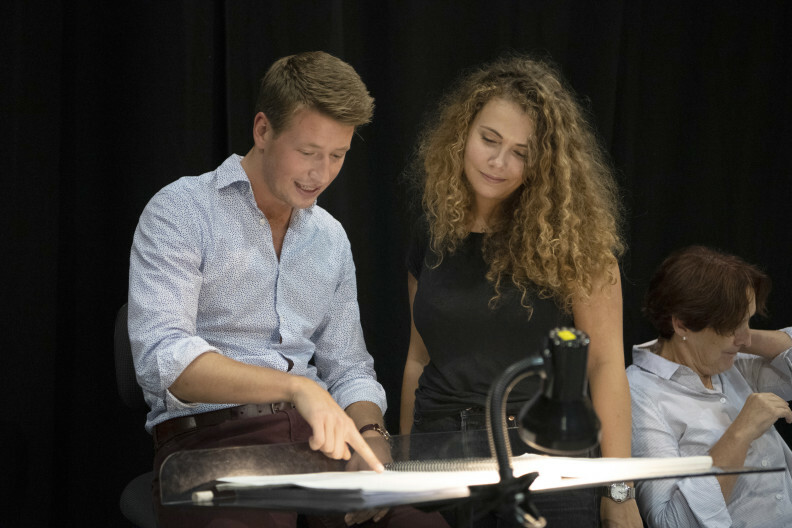 We are one week into rehearsals and already we have created a mad world unlike a traditional world of Cinderella. 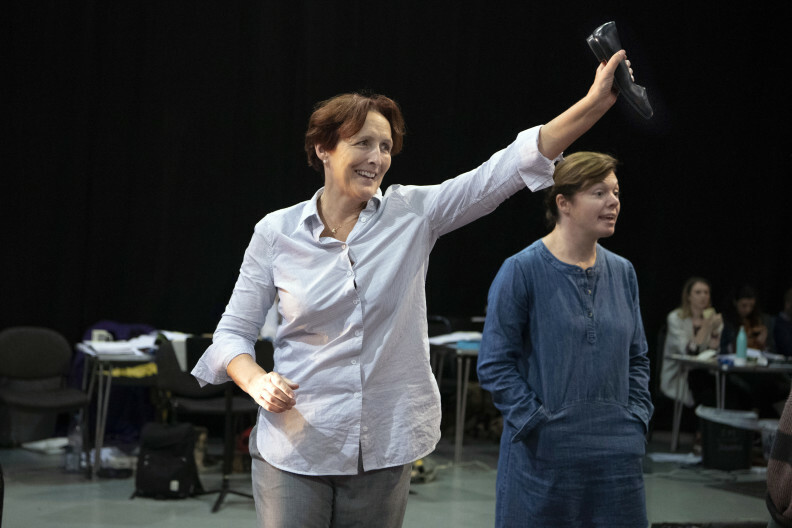 From day one the director Fiona Shaw wants to create a rehearsal space, which enables improvisation. 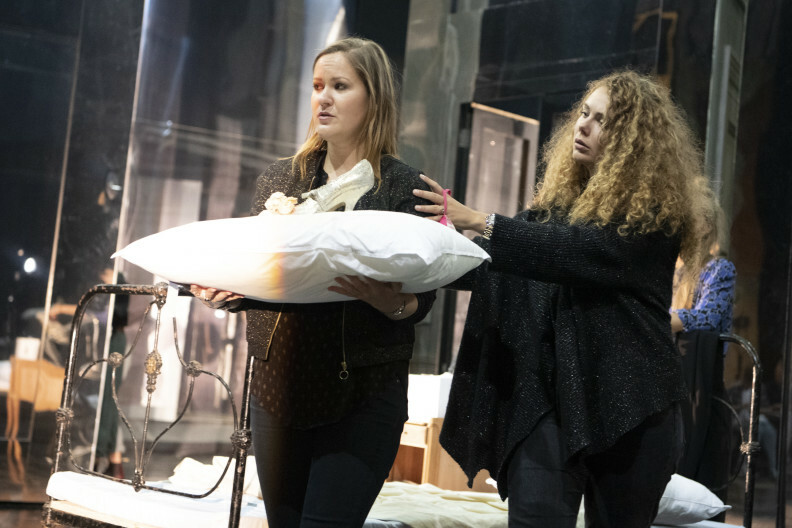 Our stage management team provide a constant array of props and things we can work with in the space; a plastic frog, a bucket of coal, 50 clothes bags, cigarettes and an IV drip! We start our first day playing games, which are all about dreams and how they often mirror what happens in our reality. The singers jump right into the beginning of the opera improvising without music what our opening story will be. A hundred ideas are tried and we see the ones that really stick, discard others and over time form the clearest story we can. 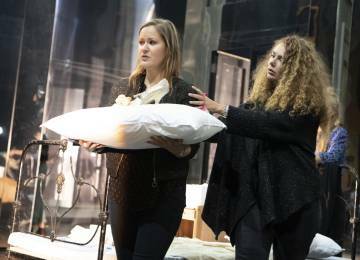 The other element that is constantly present in the room is the technical needs of the opera. Our designer, Jon Bausor is with us and is able to provide valuable insight into what our furniture and set can and can’t do. We also have lighting rigged in the room and our lighting director, Anna Watson begins to create atmosphere and works with the four huge mirrors that make up part of our set. Lighting mirrors and watching reflections holds exciting and challenging possibilities. On come the family, inspired by the Kardashians. This is Cinderella but not as we have seen it before! 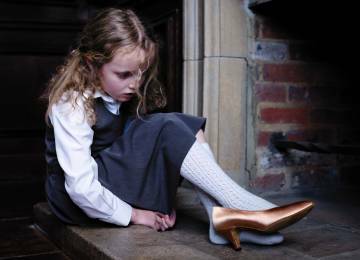 Cinderella is on stage during the Glyndebourne Tour 2018, 13 October – 1 December. 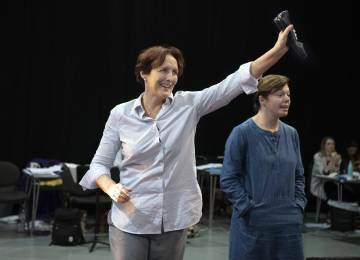 Take a glimpse behind the scenes of Fiona Shaw’s production. 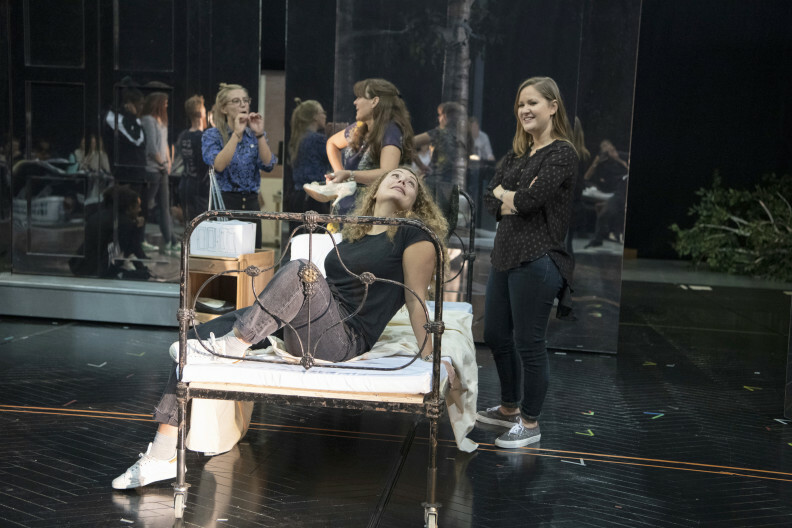 Everything you need to know about Cinderella (Cendrillon) on Tour.